Study after study shows that the number one success trait in a leader, is their ability to communicate. 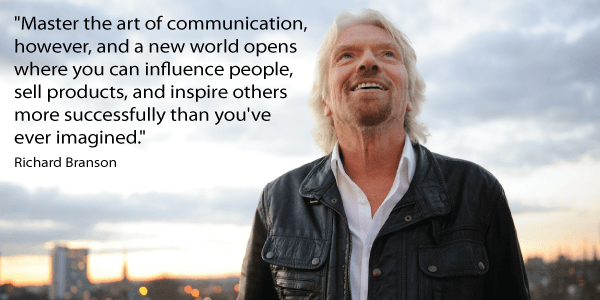 This week’s first article is about Richard Branson and when I think of all of his attributes, I appreciate his ability to inspire us through clearly communicated goals. All great leaders, are great communicators. How would you rank your ability to lead others through your words? TED | Go Ahead, Make Up New Works!